Despite being the least trusted national official, based on the latest Pulse Asia survey, House Speaker Gloria Macapagal-Arroyo considers the survey results as an improvement from when she stepped down from the presidency in 2010. “After years of attacks and political persecution, the public approval rating of former President and now House Speaker Gloria Macapagal-Arroyo is on an upswing with the level of distrust diminishing,” a statement from her office released Tuesday afternoon said. The Pampanga 2nd District Representative is trusted only by 19 percent, and is not trusted by 43 percent among the 1,800 respondents surveyed by Pulse Asia last Sept. 1-7 across the country. Thirty-seven percent are undecided. Arroyo’s trust ratings is the poorest compared to those of President Rodrigo Duterte, Vice President Leni Robredo, Senate President Vicente “Tito” Sotto III, and former acting Chief Justice Antonio Carpio. Immediately after stepping down from the presidency, in a July 1-11, 2010 survey of Pulse Asia, Arroyo’s trust ratings is 13 percent while her distrust ratings is 67 percent. Twenty percent were undecided. Arroyo’s administration from 2001 up to 2010 was marred with allegations of corruption and electoral fraud despite some economic gains. 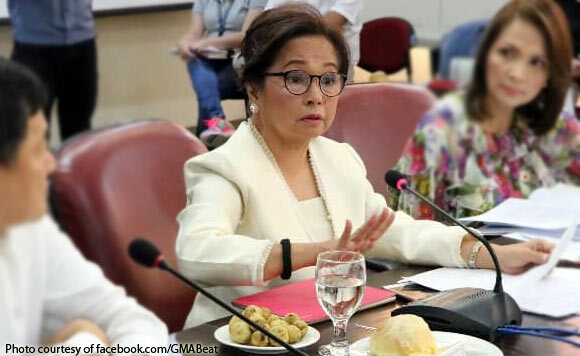 “While Speaker Arroyo has always been dispassionate about surveys, she takes them as a snapshot of people’s sentiment,” the politiko’s office statement said.